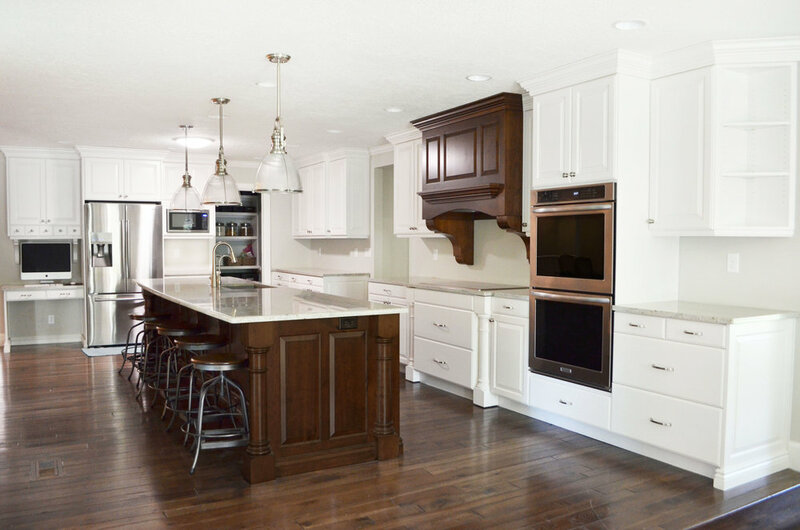 specializing in high-end residential & commercial custom cabinetry. Lewis Custom Woodwork is the perfect choice when it comes to new construction, finishing your basement, or updating existing cabinets. Located in Centerville, Utah, we provide quality cabinets for Davis County, Salt Lake and many other surrounding areas in Northern Utah. Kitchen cabinets, bathroom vanities, mantels, we've done it all. Every inch is custom designed to be a perfect fit for our clients. No prefabricated cabinets here! Take a look at some of our kitchens to see what we mean or check out one of our other gallery pages. Who doesn't love a good makeover? Refacing is a great way to affordably update the look of existing cabinets without completely tearing everything out and starting from scratch. View some before and after photos to see what a difference a few changes make. Style, layout, budget—we've got a lot to talk about! Let's set up a time to discuss how we can make your dreams a reality. We provide estimates free of charge, eliminating any guesswork or sneaky hidden fees—we are always honest and up front.